Availability: Out of stock. Estimated to ship in 1-2 business days.. 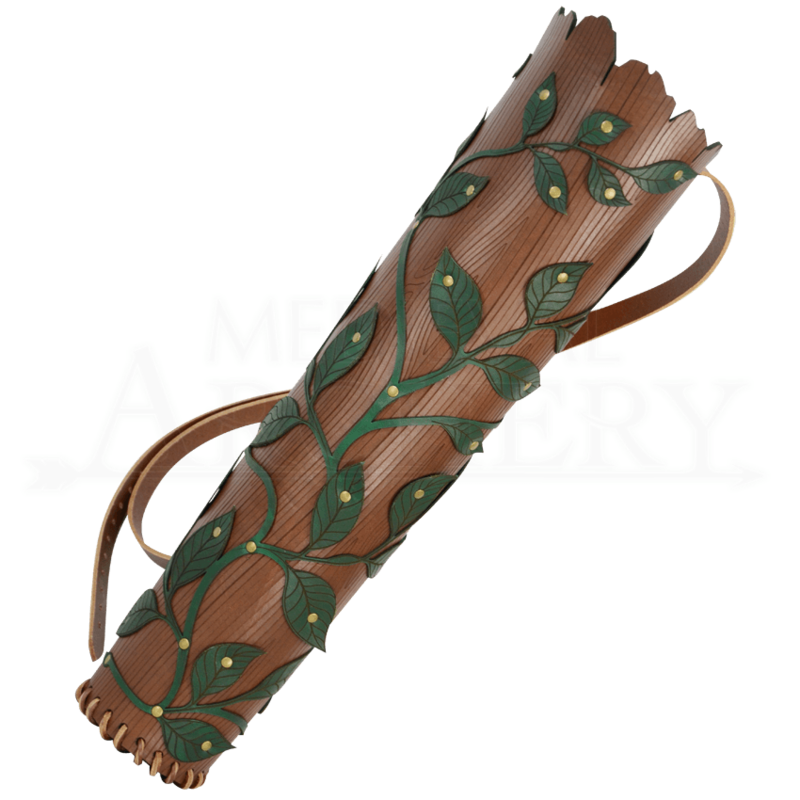 Embrace the beauty of nature on the battlefield, while enjoying reliably quick access to your arrows with the finely crafted Elven Leaf Leather Quiver. Emulating leaves on a log, it is designed to perfectly complete your woodland look. Displaying the wonder of nature through the look of intricate green leaves accenting the richly engraved wood grain pattern. For supreme durability, it is crafted from 8/9 ounce leather with antique brass hardware. This sturdy construction allows for the storing of traditional or LARP arrows. It features an adjustable brown leather shoulder strap to ensure a comfortable fit. 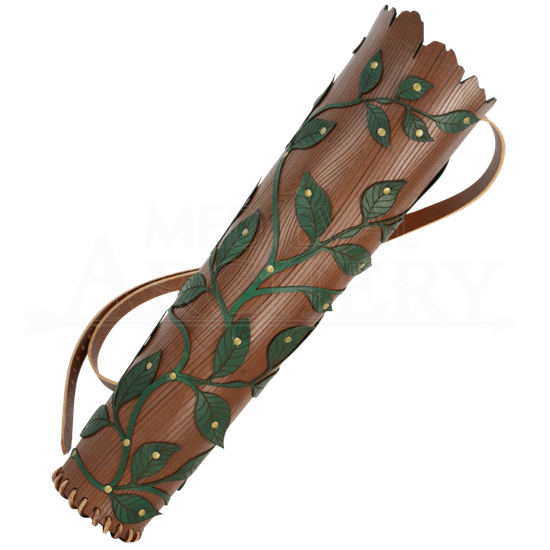 A wonderful addition to any archery collection the Elven Leaf Leather Quiver pairs exquisitely well with the Woodland Archers Arm Guard (DK6109) and our other woodland armour.